Description: The latest beta (or one of the recent releases) added support for Trilinear filtering in GSdx settings. 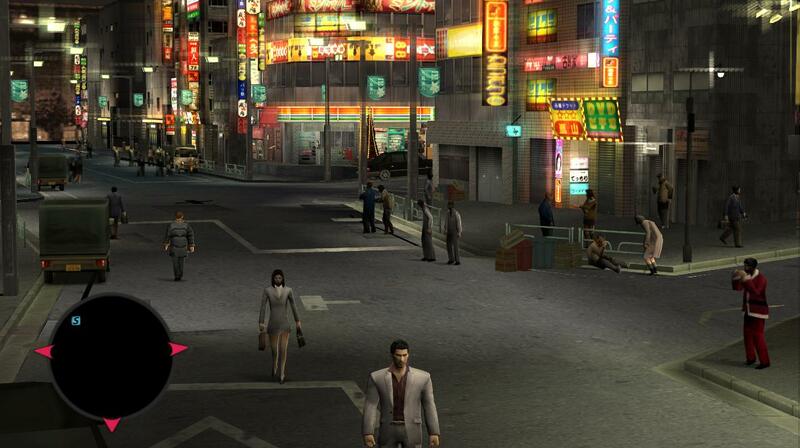 Using any Trilinear option with Yakuza 2 causes many elements of the map to disappear. This affects both the in-game minimap and the pause menu full map. 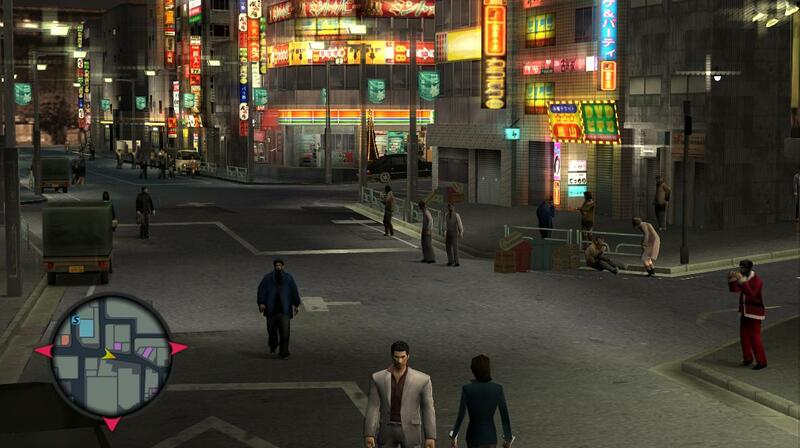 With trilinear filtering enabled, map elements such as player location arrow, shops, visible roads etc do not display. 1. In GSdx plugin configuration, select OpenGL Hardware rendering. 2. Under the 'Filtering' config option, choose any of the 3 Trilinear filtering options. 3. Confirm, and in-game observe the appearance of the minimap. 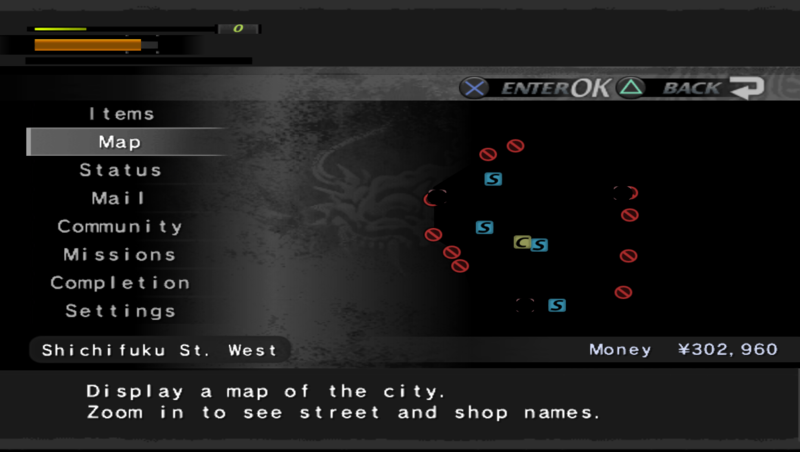 Press start and observe the appearance of the menu map. 4. Go back to GSdx config options and change 'Filtering' to any of the Bilinear options. 5. Confirm, and in-game observe the map. It will now display correctly. 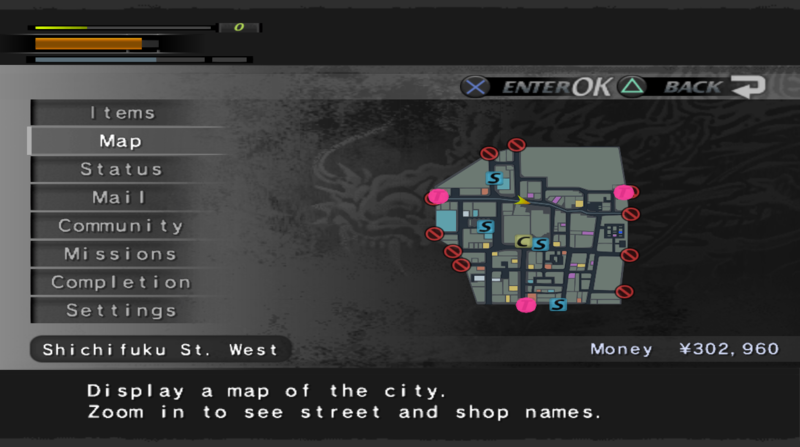 I can confirm the issue, it affects Yakuza 1 as well. Technically basic trilinear is rather safe. However it can create rounding error. Rounding error can result in wrong pixel test. For example an alpha value of 1.99 instead of 2 could discard the pixel. It could explain the missing elements, of course it would be nice to analyze the rendering to confirm it.